The power of using a mobile software development solution like PointSync, is you can deliver all the applications above using it. Your IT team only needs to learn one mobile software development environment and platform, and support and edit any of the applications above. The alternative would be to buy separate mobile software applications for each of the above areas, each from different vendors, and get trained on each of their different technologies. Of course that is an unrealistic solution that would be impossible to economically justify, support and maintain. Standardizing on a mobile software development platform like MobileDataforce's PointSync provides an IT organization with a low cost, rapid application development environment that is easy to use, maintain and support. 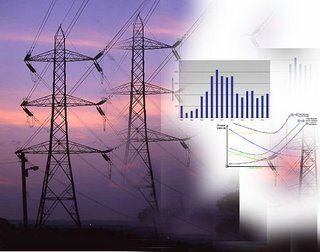 My professional services team has been delivering quite a few inspection applications for the electrical utility industry lately. 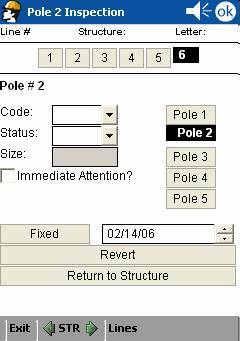 This screen shot depicts a "pole inspection" application used in the State of Missouri. We have delivered several mobile inspection solutions to Sho-me Power. The other day Andy Meyer sent me this quote. Scenario: A service technician needs a widget part to complete his job. He checks the inventory in his van and he is out. 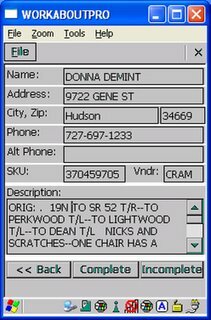 He pulls his PDA phone out, enters the part number into a query, and the map on his PDA shows the nearest van that has his part in inventory. He taps on the van icon on the map and the street address appears with the service technician's mobile phone number. He calls and reserves his part, meets the van and completes his job. Today's announcement of an integration between MobileDataforce's PointSync Suite, and DeLorme's XMap now makes this scenario possible. Today we announced an integration of our PointSync (software for developing mobile applications) with DeLorme's XMap software. This allows us to graphically show jobsites, delivery routes and work locations on maps on PDAs and Tablet PCs. 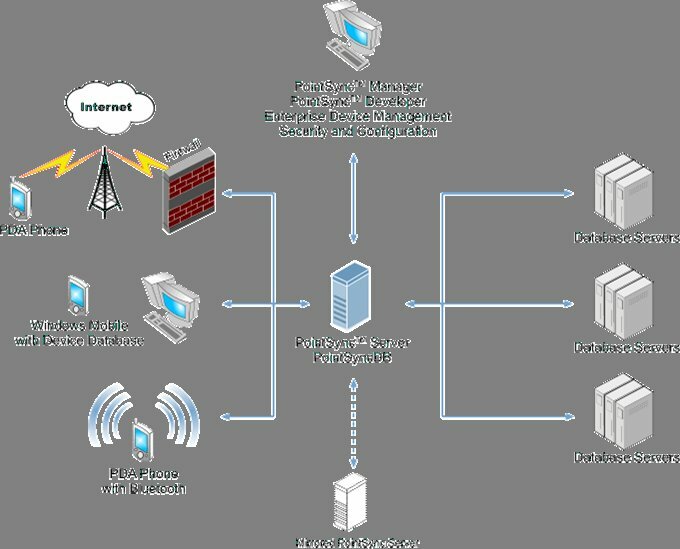 GPS, XMap software and MobileDataforce's Work Order applications for PDAs and Tablet PCs make a very powerful and efficient system for service technicians. Our first implementation was for a company in the electrical utility industry involved in meter inspection, maintenance and repair. 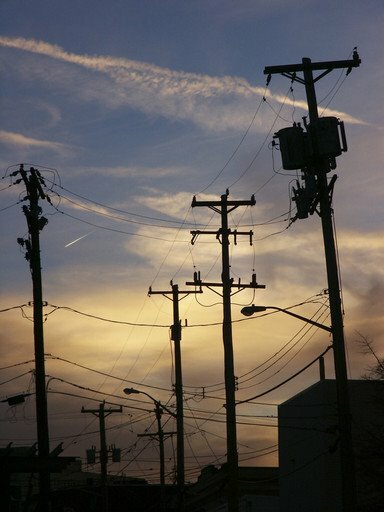 I found the following figures concerning electrical utility IT spending quite interesting. MobileDataforce does significant amounts of work in the utilities industry with customers such as: Alabama Power, Sho-Me Power, Tampa Bay Electric, New York Power Authority, Lynn Edwards, Power & Construction, etc. Research by the Research & Analysis Division (R&A) of Energy Central - According to R&A Figures, utilities expect to spend up to $1 billion on ERP solutions, nearly $800 million for work management systems and more than $141 million on business intelligence systems during the three-year period beginning in 2006. We completed a mobility project for a Canadian company last week that adds hybrid electrical components to delivery trucks. I found this very interesting. We used standard consumer grade PDAs, MobileDataforce's Intercue Mobility Suite and RS232 adapters to plug into an automobile's computers and read OBD-II Trouble Codes. These codes could be uploaded to a database and printed in a report. Reading your vehicle's vitals with a PDA just seems so futuristic to me. There is an OBD-II Trouble codes plug-in under the dashboard of most vehicles. With this application a mechanic can quickly identify any errors or problems being reported by the automobile's sensors. The results can be displayed on a handheld PDA screen and printed to a report. 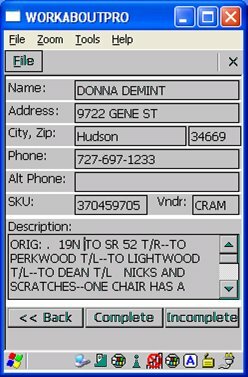 In past blog articles I have written about our ability to decode VIN numbers and build powerful automobile inspection applications, for dealers, buyers, and automotive services companies all on handheld computers. Now we have added the ability to inspect the condition of the engine. In another article I wrote some time back I discussed connecting GPS capture to automotive applications. This was needed to identify the location of abandon cars following hurricane Katrina. 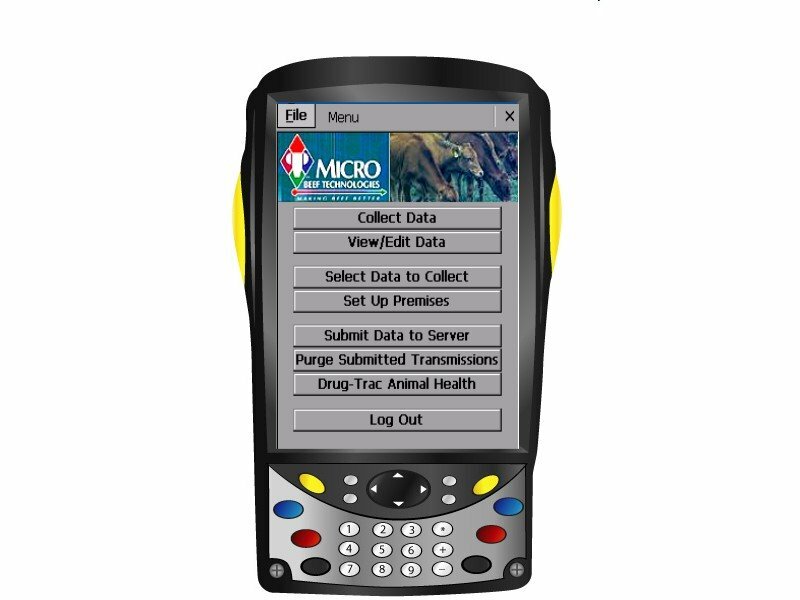 I have documented the work MobileDataforce is doing to help manage animal tracking and animal health tracking using our mobile software solutions and handheld computers in a previous blog article, and the need for this solution just keeps growing. 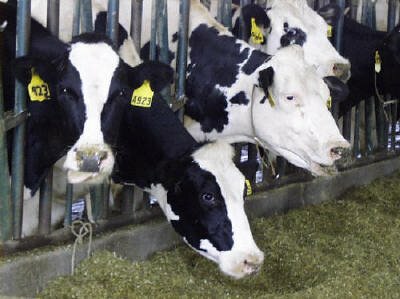 In the linked article above, this Canadian cow was found to have Mad Cow this week and it was able to be tracked back to the 2 farms it had lived on. These farms are now going to review their records of the food this cow was fed to determine if there is a link. This effort shows planning and good record keeping. The recent case of Mad Cow in Alabama could not be tracked back beyond the cattle auction. It had no unique ID that could be associated with records detailing where it came from and what other cows and farms it was associated with. We have 2 experienced dairy farmers on our staff, myself and Conrad Kennington. Both of us are now involved in developing mobility software, but grew up milking cows, feeding cows, and caring for cows. It is fun to be able to combine our farming knowledge, and our technology knowledge to improve the way the industry works. My engineering team has just completed an integration between our PointSync Suite (development tool kit for mobile solutions) and DeLorme's XMap (a GIS solution). This integrated solution combines the power of PointSync to customize work order solutions, inspections forms, vehicle tracking and fleet management applications with the power of DeLorme's mapping and GIS software. A press release will describe this in more detail later this week. Here is how it works - You can open a service or work order on a handheld computer, PDA or Tablet PC (the picture above is from one of our Tablet PC applications), then click a map button in the application to see a view of the location of all work orders, those completed, pending and incomplete. You can also open the map, and click on a flag that designates a work order location and it will launch the PDA based work order details. 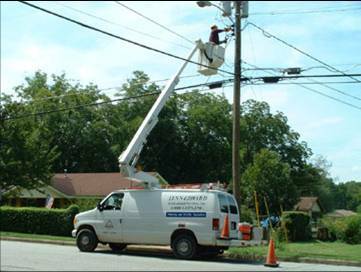 This same solution can be used with inspections. If you must conduct 3 inspections today, the inspection form can have a button which launches the mapping software, and the mapping software can launch the specific inspection forms that need to be used at each jobsite. These are just a few of the applications we will be launching using this combination. We are in the final testing stages of a large vehicle tracking project. I wrote about it in an earlier blog article. One of the very cool features is the ability to view the GPS logs of specific vehicles. 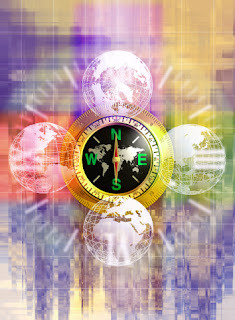 These GPS data logs, can be set to capture and store the GPS coordinates at specific time intervals. For example, every 30 seconds the vehicle's GPS system can capture the coordinates, give these to the handheld computer, mounted in the van, which synchronizes this data to a Canadian database over GPRS (mobile phone connections). A person can then open these GPS data logs and see on a map (pictured above) the exact path of the vehilce and progress over time. This functionality allows a dispatch manager to view the location, on a map, of all of their fleet vehicles at any given time. My team is having a lot of fun building applications that enable simple Windows Mobile handheld PDAs to provide huge business value to our customers. We developed this system using MobileDataforce's PointSync software platform for handheld computers. We published a press release today about a recent project we completed -Kane's Furniture Selects MobileDataforce. 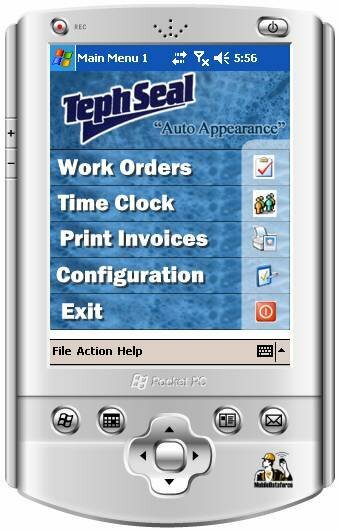 This project involved converting their paper service order processes to mobile service orders on handheld computers. They are very happy and the CFO confirmed they are saving 32 man hours per day over their 17 locations. The traditional manner of dispatching and completing a service/work order is by phoning the technician with a job assignment, and the technician writes the information onto carbon paper. When the work is complete the customer signs it and the technician leaves a copy with the customer and attaches his copy to a clip board on the seat of the truck. At the end of the day these service/work orders are delivered to the office where an administration person re-types this information into an invoice system. There are a great deal of inefficiencies in the manual process. Incomplete forms, lost work orders, bad handwriting, wrong information, duplicate efforts required to re-type the information in the office, etc. When you have a mobile service/work order system - the technician gets a message on their handheld computer that a new service/order assignment is available. 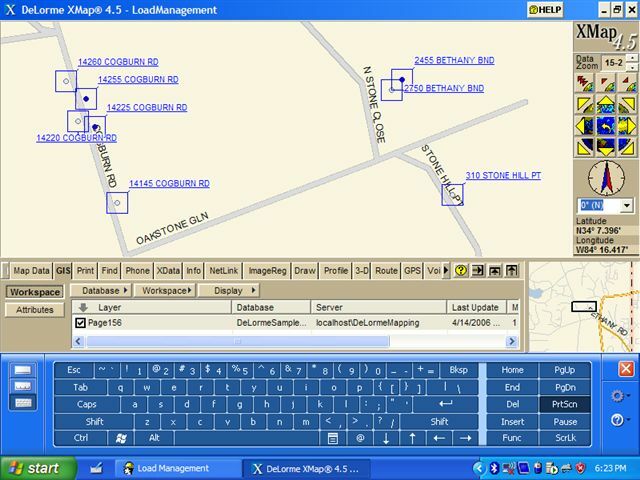 The handheld computer synchronizes with headquarters and provides the work assignments, driving directions, instructions, etc. Once the work is complete, a digital signature is captured on the screen of the handheld, and the completed work order is synchronized immediately with the office service/work order dispatch and invoicing system. Very clean, accurate, fast and efficient. The following link is the public announcement of a series of very cool mobile applications for tracking the lifecycle of cows. The purpose is to know exactly where a calf was born, and all significant movements during its life. This solution provides a way to know of any other animal that may have shared location with a diseased animal through a trace back query on an animal tracking database. This system involves Psion Teklogix handheld computers, MobileDataforce's PointSync software, and a proprietary database designed and hosted by Micro Beef. Boise, Idaho--April 4, 2006 – MobileDataforce® Inc. (http://www.mobiledataforce.com/), the leading provider of Rapid Application Development Solutions for Mobile Environments (RADS-ME)™, is pleased to announce that Micro Beef Technologies, Ltd., the global leader in the innovation, development, and implementation of real-time computerized livestock management systems, has selected MobileDataforce’s PointSync® software to add proprietary mobile capabilities to their ACCU-TRAC® Systems Suite. The ACCU-TRAC® portfolio of systems by Micro Beef Technologies provides beef producers alternatives matched to their specific operations and management practices. These producer-driven alternatives include every conceivable method of identifying and managing animals including paper-based systems, web-based systems, laptop solutions, permanent chute-side configurations that can be customized by location, and now mobile handheld computer solutions using RFID technologies and synchronization with a central high-performance, multi-species database. 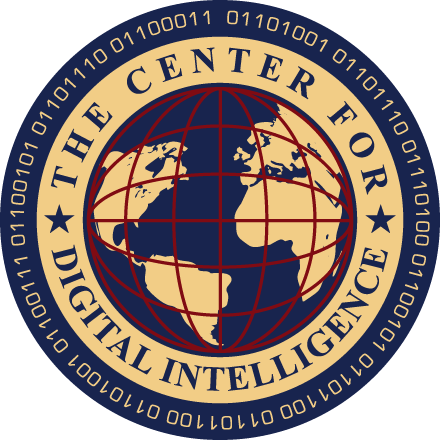 The database, launched in June, 2005 by Micro Beef Technologies, is a mission-critical, private, centralized American database designed to safeguard the health of the U.S. national herd, protect America’s producer interests, and meet the 48-hour traceback requirements of state and federal health officials in the currently voluntary National Animal Identification System. PointSync Suite is an enterprise-grade software system for rapid deployment of database centric mobility applications on handheld computers. MobileDataforce PointSync provides partners, enterprises and integrators the capability to rapidly develop and deploy mobility projects of all kinds. MobileDataforce is a global leader in the development of high performance software solutions for use on mobile handheld computers. Privately held, MobileDataforce was founded in 2000 and its software solutions are sold worldwide through direct and Value Added Reseller (VAR) channels. For more information, please visit our website at http://www.mobiledataforce.com/. Next week my Professional Services team is delivering an application to a pharmaceutical company that enables them to monitor the dosage and times that medicine is taken by their remote customers. This will help ensure that their customers are properly using the medicine according to the manufacturers recommendations. This will also provide better patient care, better research data and better results. 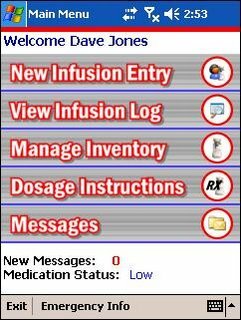 The solution includes handheld PDA phones that synchronize data via GPRS to their care giver's database, and MobileDataforce's PointSync software. 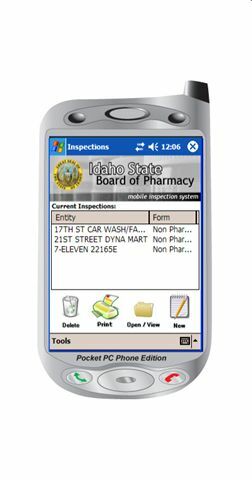 Boise, Idaho--April 3, 2006 – MobileDataforce® Inc. (http://www.mobiledataforce.com/), the leading provider of Rapid Application Development Solutions for Mobile Environments (RADS-ME), is pleased to announce that the Idaho State Board of Pharmacy has selected MobileDataforce’s PointSync® Suite and professional services to automate their Pharmacy Inspection processes. The handheld PDA based solutions will synchronize both wirelessly and through cradles with the Board of Pharmacy’s existing database systems. The Board of Pharmacy’s solution takes advantage of MobileDataforce’s PointSync Suite software to convert their existing paper based system into an automated handheld PDA solution. In total, 6 different inspection processes are being converted including; Pharmacy Inspection Reports, Inspections for Institutional Facilities, Inspections for Manufacturers & Wholesalers, Non-Pharmacy Drug Outlet Surveys, and Inspections for Parenteral Admixture Pharmacies. PointSync Suite is an enterprise-grade software system for rapid deployment of database centric mobility applications on handheld computers. MobileDataforce PointSync provides enterprises and integrators the capability to rapidly develop and deploy mobility projects of all kinds. VIN decoding solutions with GPS integration to identify automobiles, and locations where the automobiles were found. Autobody applications to identify work completed on vehicles at dealerships and invoice for it. Many of these applications involve VIN decoding. This is the process of identifying the specific car based upon bar code scanning the VIN number on the dashboard or door. We have invested many man hours in developing this functionality and the VIN content in our mobile software. This is useful in identifying the exact car, work needed, work completed and invoicing for the work. We, at MobileDataforce, are announcing this week that the Idaho Board of Pharmacy (BOP) has selected our PointSync platform to mobilize and automate 5 different inspections processes including; Pharmacy Inspection Report, Inspection for Institutional Facility, Inspection for Manufacturers & Wholesalers, Non-Pharmacy Drug Outlet Survey, and Inspection for Parenteral Admixture Pharmacy. The BOP will be using off-the-shelf consumer grade Dell Axim Pocket PCs, HP 460 mobile printers that are bluetooth enabled, and MobileDataforce's PointSync Suite for their mobile software application. They will wirelessly synchronize data betweent the handheld PDAs and their internal database system. Some of the inspectors will cradle sync when they return to their offices, but others will synchronize via WiFi from field offices using VPNs. Data on the PDAs will save 4-5 phone calls per day per field inspector to the office, and save the office staff needing to respond to the field inspectors. Paper inspection forms will be replaced with intelligent electronic inspection forms on their PDAs that ensure completion, validity and proper processes are followed. Instead of filing the paper forms there will be wireless synchronization of data directly from the PDA to the BOP's database system. The BOP is anticipating saving a minium of 10-12 hours per day, plus greatly improving the quality of their work.